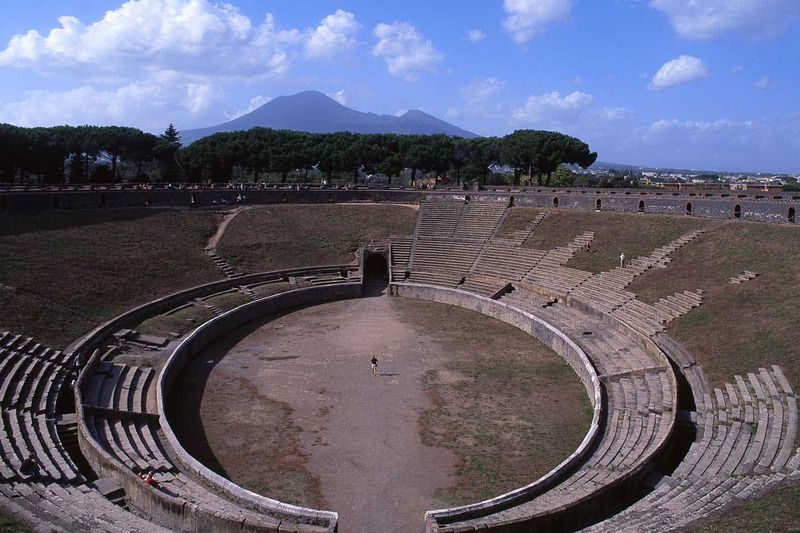 Planning a day trip to Pompeii from Rome? How do you go about it? Will you have enough time to accomplish a Pompeii day trip from Rome? Is it better to travel by yourself on the train from Rome to Pompeii, or is it easier to book a Rome to Pompeii tour? We’ll answer all these questions and more in our guide to planning a Rome to Pompeii day trip. 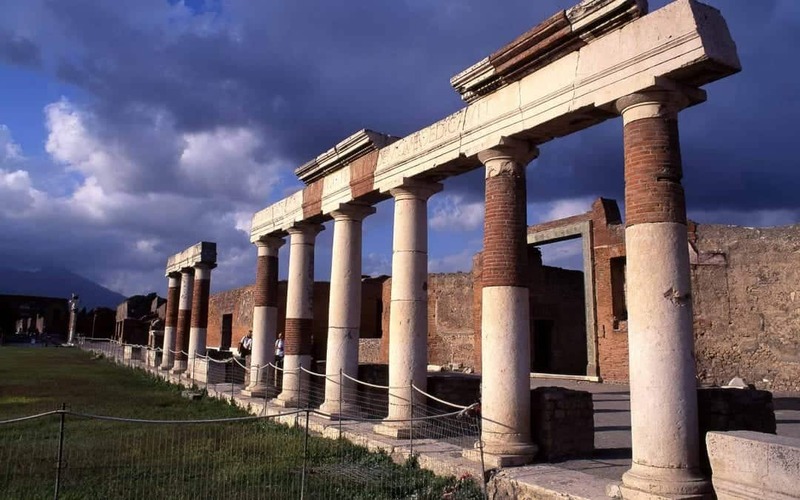 The good news is that a Rome Pompeii day trip is perfectly feasible, whether you’re travelling by yourselves or on a Rome to Pompeii day tour. 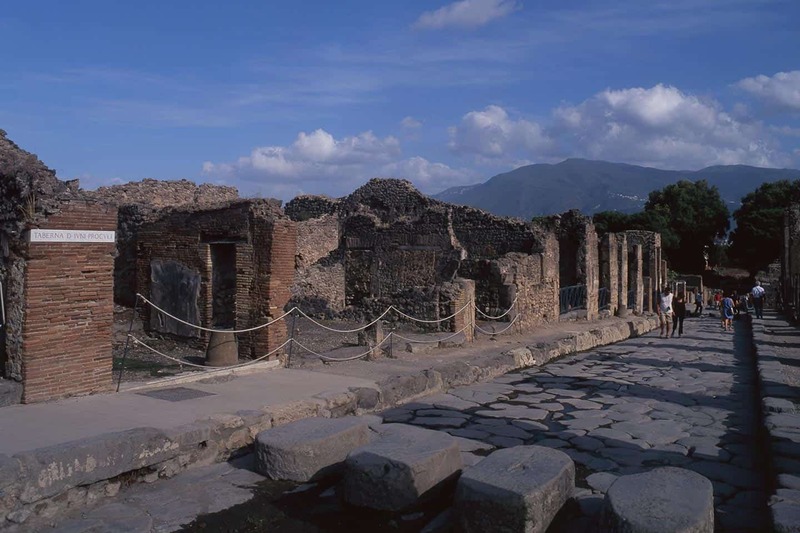 Pompeii is one of the easier day trips from Rome, with the train journey taking less than two hours each way. The likelihood is that you’ll have enough time to explore at least one more destination, albeit for a few hours. So if you’re travelling that far, how to make the best use of your time? 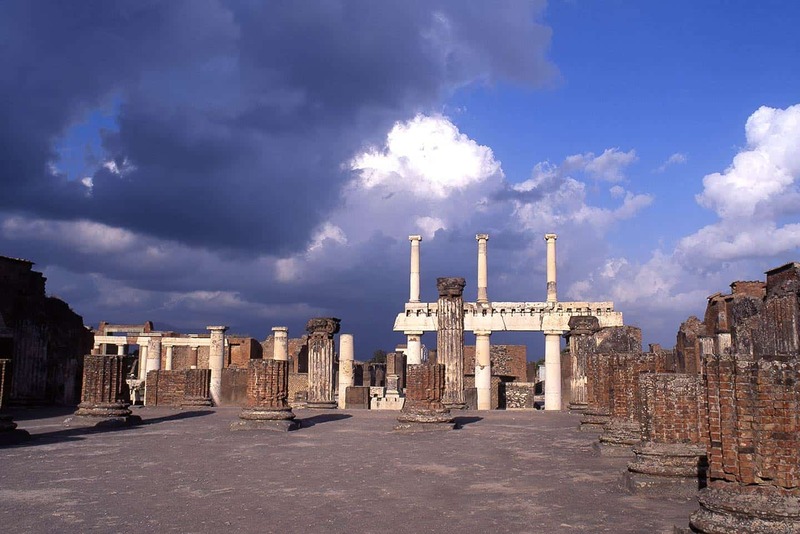 There is also the option to tour Pompeii from Rome, and most options include a second destination. There are several tours from Rome to Amalfi Coast and Pompeii, and other day tours from Rome include brief visits to Naples and the Roman town of Herculaneum. 1 WHAT IS THE HISTORY OF POMPEII? 3 HOW FAR IS POMPEII FROM ROME? 4 HOW TO GET FROM ROME TO POMPEII? 5 YOUR POMPEII VISIT – HOW LONG DO YOU NEED THERE? 6 WHAT ELSE CAN YOU SEE ON A ROME TO POMPEII TRIP? WHAT IS THE HISTORY OF POMPEII? Pompeii is one of the most evocative ancient Roman sites. It was a small, workaday provincial Roman town until the volcano nearby, Mount Vesuvius, erupted in AD 79. The remaining inhabitants were cooked by searing hot gases pouring from the mountain in a fatal pyroclastic flow. The town was frozen in time, preserved under a layer of volcanic ash and hidden from the world for almost 1,700 years. It was partly discovered in the late 16th century, then promptly forgotten about. Eventually, in 1748, excavations began in earnest. Pompeii is one of the most compelling Roman sites in the world, and is undoubtedly one of the best day trips from Rome. It’s a great complement to a visit to the Italian and former Imperial capital, giving a fascinating insight into daily Roman provincial life. 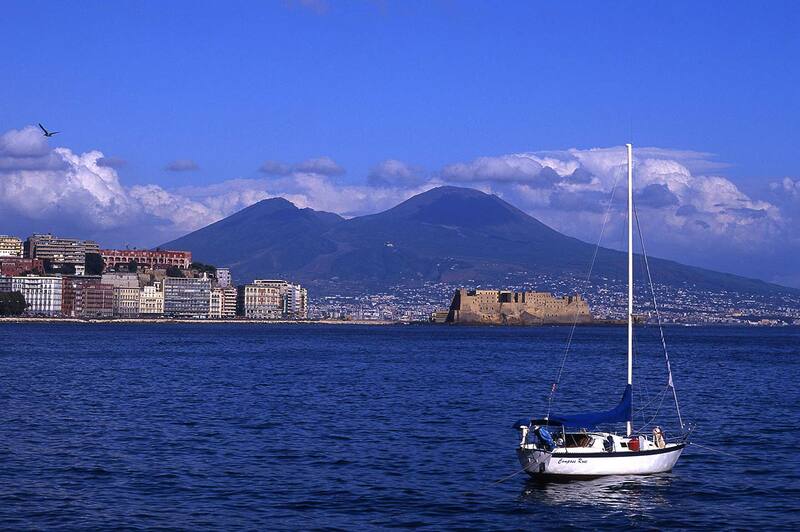 Pompeii is 26 km (16 miles) to the south-east of the southern Italian city of Naples (Napoli in Italian). It’s close to the coast of the Bay of Naples, and the ruins are next to the Circumvesuviana railway station at Pompei Scavi. The distance from Rome to Pompeii is 250 km, or around 150 miles. HOW TO GET FROM ROME TO POMPEII? There is no direct Rome to Pompeii train. Instead, you catch a train from Roma Termini to Napoli Centrale, and change there for Pompeii. Trains from Rome to Naples depart regularly – often several per hour. The most frequent option is the Frecce (‘Arrow’) service which takes a little over an hour. This is the most expensive option at €29.90 one way, plus The InterCity is less frequent and takes two hours and costs €22. The Regionale option also exists, but takes around 3 hours. When you arrive at Napoli Centrale, head for the station concourse, then turn left near the exit. Follow the sign for the Circumvesuviana line – this is the Naples to Pompeii train. It departs every thirty minutes, and takes just over half an hour. You’ll need to alight at Pompei Scavi – Villa dei Misteri station, which is a short walk from the entrance to the Pompeii site. There are also buses from Naples to Pompeii, but the train option is so easy that it’s pointless trying to go by bus. It’s also far more time-consuming. Some would also consider driving from Rome to Pompeii by car. Putting it succinctly, we wouldn’t. It’s far too much hassle at either end. Public transport around Pompeii is very good: you don’t need to drive there. There is no direct bus from Rome to Pompeii on the public transport network. However, on some tours Rome to Pompeii run coaches from pick-up points around Rome direct to the site. YOUR POMPEII VISIT – HOW LONG DO YOU NEED THERE? This will depend on your interests and whatever else you have planned in your Pompeii day trip itinerary. I recommend a minimum of two hours to explore the site. My friend and I took four hours, and only curtailed our visit out of necessity – it was closing time. We were both avidly interested, and could have stayed considerably longer. Two hours in Pompeii would definitely give you a good general overview, and a feel for the layout of the town, the streets and houses. Three hours would give you time to walk the outer reaches of the ruined town, including the amphitheatre. WHAT ELSE CAN YOU SEE ON A ROME TO POMPEII TRIP? This depends on the time you have available, your interests and whether you intend to travel using public transport or take one of the Pompeii tours from Rome. We’ll run through each of the options below, starting with ones you could feasibly accomplish by yourselves. We’ll then suggest options for tours of Pompeii which include additional destinations in the area. Herculaneum was another city destroyed by the same eruption of Vesuvius as Pompeii. The poor inhabitants left in the city suffered a horrendous fate, instantly cooked by gases as hot as 500°C. Herculaneum was a more prosperous city, with wealthier citizens and larger properties than those of Pompeii. Much of the city has been built over with modern Ercolano hiding its many secrets. Only a small part of the ancient city remains, but what is still there is fascinating. It’s easy to reach: it’s on the Circumvesuviana line a few stops before Pompeii. The station at which you need to alight is Ercolano Scavi. You could comfortably spend 2-3 hours at both Pompeii and Herculaneum, stopping for lunch close to either. If you prefer to have your transport all taken care of, there are also Pompeii and Herculaneum tours from Rome to consider. It’s also possible to climb Vesuvius, the volcano that wrought all this destruction on the two cities below. It’s easy enough to do independently. The Vesuvio Express bus departs from Ercolano Scavi every 40 minutes. The €20 ticket includes the €10 entry to the Vesuvius National Park. The bus drops you at the top of the road up the mountain, around 30 minutes short of the summit. You have 90 minutes to climb to the summit crater, explore it then walk back down. Alternatively, you can book yourself onto a Pompeii and Vesuvius tour from Rome. Bear in mind that you’ll still have to do the half-hour summit hike. Rome to Naples is one of the more obvious Rome day trips, with the train between the two taking barely an hour. A day trip from Rome to Naples and Pompeii doesn’t leave much time to explore one of Italy’s great cities. However, if you have a few hours there, you can get through some of the best things to do in Naples. You emerge from Napoli Centrale onto Piazza Garibaldi, which is not the best introduction to a city you will have. It’s a traffic-clogged, horn-honking hullabaloo, but once you’ve crossed it, you’ll be into the heart of ancient Naples. This is the beginning of Spaccanapoli, a series of streets running 2 kilometres across the heart of the city in an arrow-straight line. The name translates as ‘splits Naples’, but it’s as much a route through the heart and soul of it. Spaccanapoli starts in the west at Via Forcella, Via Vicaria Vecchia, continuing east to Piazza Gesù Nuovo. It passes close to some of the finest churches in Naples, including the Duomo, home to the cult and miracle of San Gennaro. Here, the blood of the patron saint of Naples miraculously, mysteriously liquefies three times a year. One of the most amazing Naples sights is a 300 metre walk beyond the Duomo. The Museo Cappella Sansevero is a chapel with some of the most astonishing funerary sculptures you could ever see. Some of the carved marble figures are shrouded, an incredible sight. If you’re a lover of one of Italy’s most famous dishes, I’d strongly recommend trying some Naples pizza during your visit. Naples is the home of pizza, and there are many pizzeria all over the city. One of the oldest is Da Michele, on Via Sersale, a side street between Spaccanapoli and busy Corso Umberto I. It’s a wonderful place serving just two kinds of pizza – marinara and Margherita (tomato, mozzarella and basil). The best guarantee of getting a seat is turning up when the locals are less likely to be eating, so between 4-5pm, ideally. Either pizza and a drink will cost you a meagre €7-8. There’s also another excellent Naples pizzeria across the street at Trianon da Ciro, which has a much wider choice. It’s a 10-15-minute walk back from there to Napoli Centrale. Alternatively, you can book a Rome to Naples tour which includes Pompeii. These tend to take you around on a bus, giving you the best scenic overviews of this compelling city. It’s also possible to take a day trip from Rome to Pompeii and Amalfi Coast. However, it’s a very long slog by public transport. You can visit Pompeii early in the day, then catch the Circumvesuviana to Sorrento, from which you catch a bus to the Amalfi Coast. Sorrento to Positano takes around 50 minutes one way. That makes it four journeys plus waiting time to get to Positano from Rome, and three back. You may also have to factor in an additional journey at the beginning and end of the day to get to Roma Termini station. Nine journeys in one day is a lot. This makes a Rome to Amalfi Coast tour all the more appealing. 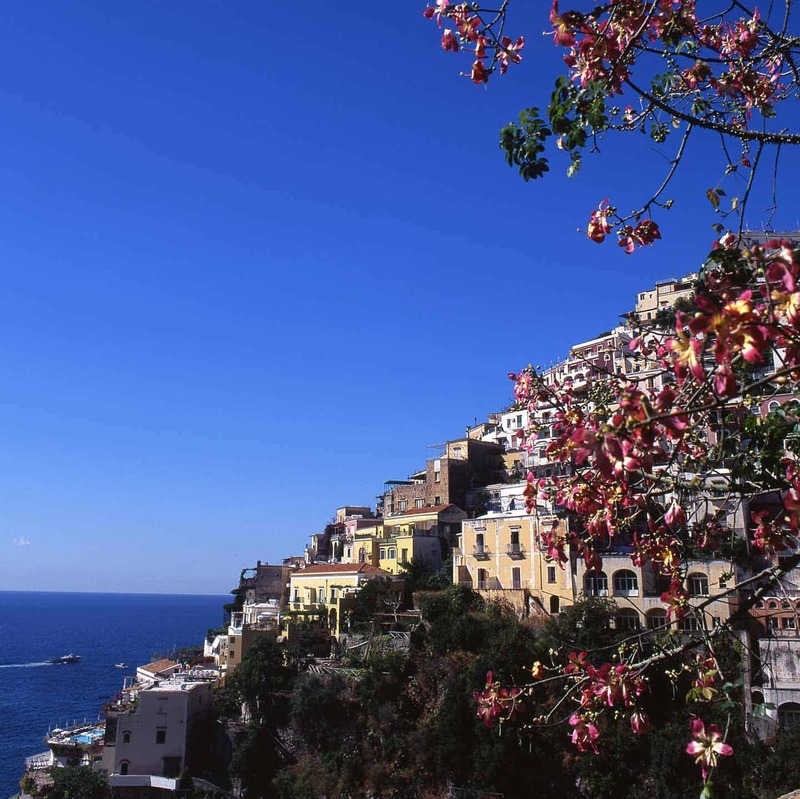 Some itineraries include Pompeii, a drive along the Amalfi Coast and some free time in Positano and Amalfi.